A bullet was fired into the Uyo home of All Progressives Congress (APC) governorship candidate in Akwa Ibom State, Mr. Nsima Ekere yesterday. 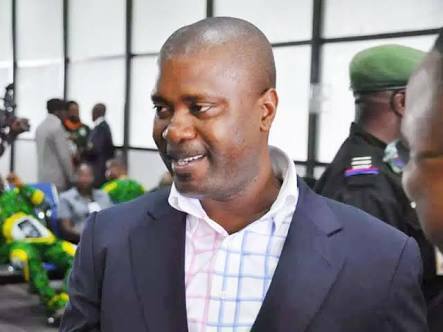 Ekere said he “narrowly escaped an assassination attempt”. Narrating how it happened, Ekere said he was meeting party leaders in the nearby residence of the Managing Director of the Oil and Gas Free Zones Authority, Mr Umana Umana, when the bullet was fired into his upstairs bedroom where his wife and sister were at the time. Following a distress call from his wife, Obong Ekere, accompanied by party leaders, rushed home to the scene of the incident. The scene was subsequently cordoned off and the expended bullet taken away by security agents following the visit of Commissioner of Police Adeyemi Ogunjemilusi and some personnel from the Police and the Department of State Security (DSS). The Police however declined to speak on the matter. Ekere said that the incident was disturbing coming at the beginning of the electioneering season and shortly after an attack on the residence of Senator Godswill Akpabio. He appealed to Inspector-General of Police and the DSS Director-General to take a serious look at the security situation in the state and the attempt on his life coming shortly after Governor Udom Emmanuel recruited some notorious retired and serving security personnel who previously served in the state to form his security architecture. The APC State Caucus Chairman Chief Don Etiebet described the assassination attempt on Ekere as callous, sad and untoward and called on security agencies to thoroughly investigate it.